When it’s time to install a new roof on your home, you want a product that will last, installed by a team that knows how to do it right. 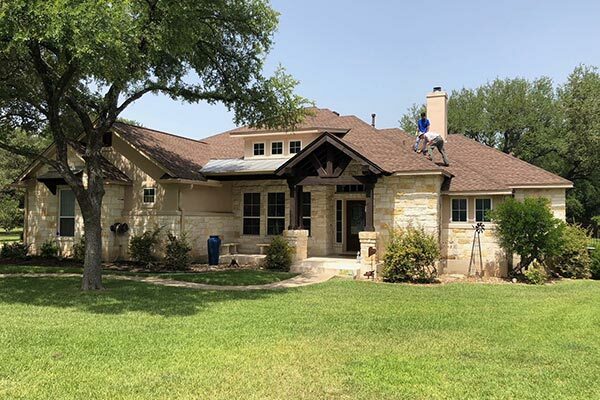 Texas Traditions Roofing can help you choose a material, style and color that you’ll love for years to come. We will then install it flawlessly. Call us today for your free consultation and estimate. Other options for your home’s new roof include tile and metal roofing. Like asphalt shingles, tile and metal roofing have advanced dramatically in recent years. Today’s tile roofing can look like real slate or shakes. Metal roofing comes in a variety of colors and styles, many of which provide excellent insulative values on top of impressive durability. We understand there are many roofing contractors in our area that can provide you with a roof replacement. However, Texas Traditions Roofing is different. Our team of roofing advisors will never try to sell you on a particular brand or style of roof. We’ll provide you with the facts and an honest recommendation based on your home, neighborhood and budget. No matter what you choose, you will end up with our superior Texas Star Roof System™. Call (512) 415-4590 today for your free consultation and estimate, or fill out our contact form.